You have 60 seconds of a parent’s attention and you need to explain the nervous system, how it works and its vital role in their child’s development. Wow, and you wonder why it’s tricky to grow your paediatric client list? If you want to see more kids in your practice, you need to be an expert at explaining the nervous system and how it relates to kids, health and chiropractic. And you need to do this quickly, simply and effectively too. In today’s video I share a great tip to help you introduce the nervous system to parents. It’s a new approach that has worked well in practice for me. Are you having trouble watching this video on your mobile? Watch it here on YouTube. I am getting quite a few emails with this video! I would love you to post any ideas/or questions here so we can discuss as a group. 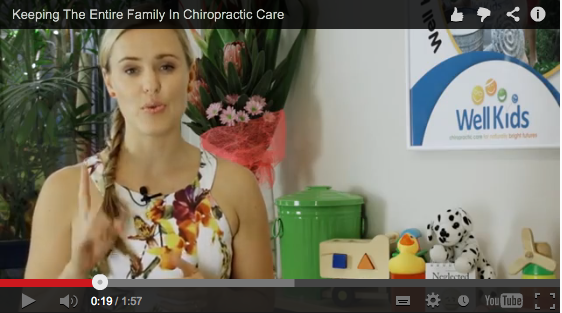 Some really great ideas on how to put things together in a few different ways to best explain to parents what chiropractic ia able to do for their children in a simple yet effective manner. I will be utilising these ideas in my office today!